Когда товар "Pocket PC Handbook" появится на складе, Вам придет уведомление. This book may be four times as big as your Hewlett-Packard Jornada or other Pocket PC, but it's worth reading if you're a new user of the little computers. 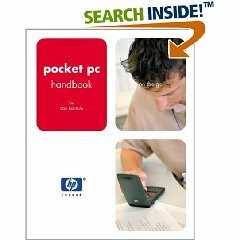 Pocket PC Handbook is an everyday user's guide to the HP Jornada, Compaq iPAQ, and Casio Cassiopeia lines (among others) of handheld computers and the software that runs on them. The HP devices seem to get more explicit attention in these pages than the others, but the competitors' common operating system makes the book equally useful for owners of all. Author Dan Hanttula knows how to reveal the features and shortcomings of software without being dry, and he emphasizes practical tricks and shortcuts wherever possible.